It’s often forgotten that Francis Crick, who along with James Watson discovered the structure of DNA, spent the last 25 years of his life researching the brain. 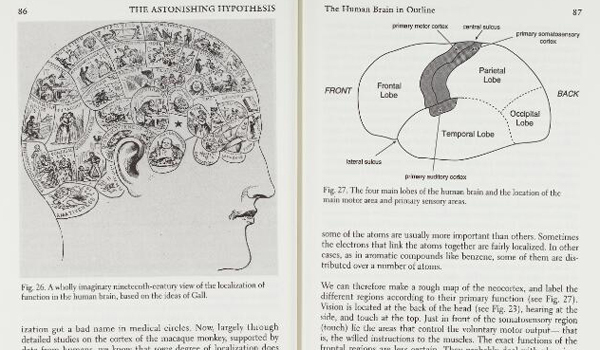 In fact he spent as long researching the brain as he had on molecular biology and genetics, publishing 23 research papers, many articles and two books on neuroscience and consciousness. Crick was intrigued by how little was known about consciousness. 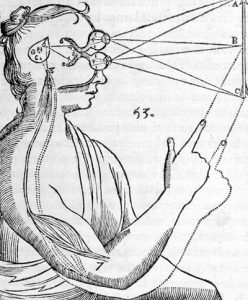 He found it “remarkable that most of the work in both cognitive science and the neurosciences makes no reference to consciousness”. 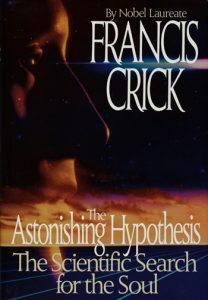 Perhaps Crick speculated, it had been neglected by scientists for most of the 20th century, because we all think we know what consciousness is, just accepting it as some ‘mysterious presence’ inside us. 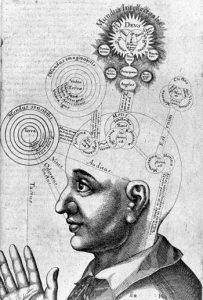 A 17th century view of mental faculties. In ‘Tomus secundus … de supernaturali, naturali, praeternaturali et contranaturali microcosmi historia, in tractatus tres distributa’. by Robert Fludd, 1619-1621. 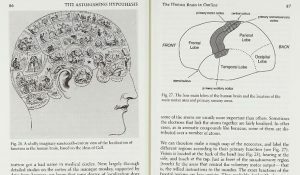 In a 1979 article about research into the brain, he argued that the time had come for science to take on the ‘taboo’ subject of consciousness. This meant drawing on research from many fields because “the brain is being studied at many levels, from the molecules at its synapses up to complex forms of behaviour, and by diverse approaches – chemical, anatomical, physiological, embryological and psychological”. Coordination of muscle and visual mechanisms by means of pineal body in ‘L’homme…et un traitte de la formation du foetus‘ by Rene Descartes, 1664. “The basic difficulty is that psychology attempts to treat the brain as a black box. The experimenter studies the inputs and outputs and tries from the results to deduce the structure and operation inside the box.” (Thinking about the Brain). Crick’s studies included the 19th century ‘science’ of phrenology, which like contemporary science assumed that specific areas of the brain were responsible for specific functions and traits. In ‘Astonishing Hypothesis’, p.86. 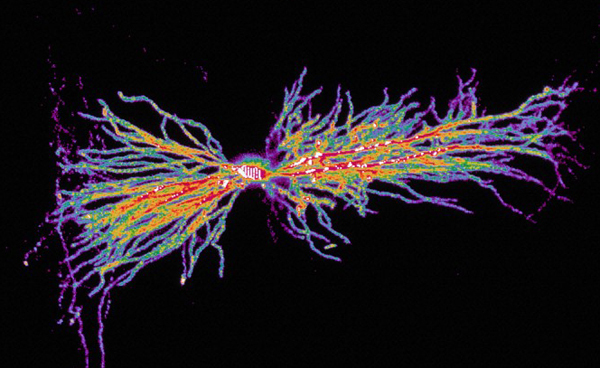 An interneuron in the hippocampus, computer-coloured. Image credit: Biosciences Imaging Group, Southampton. Wellcome Images reference: B0000503. “What is conspicuously lacking is a broad framework of ideas within which to interpret all the different approaches. Biochemistry and genetics were in such a state until the revolution in molecular biology” (Thinking about the Brain). 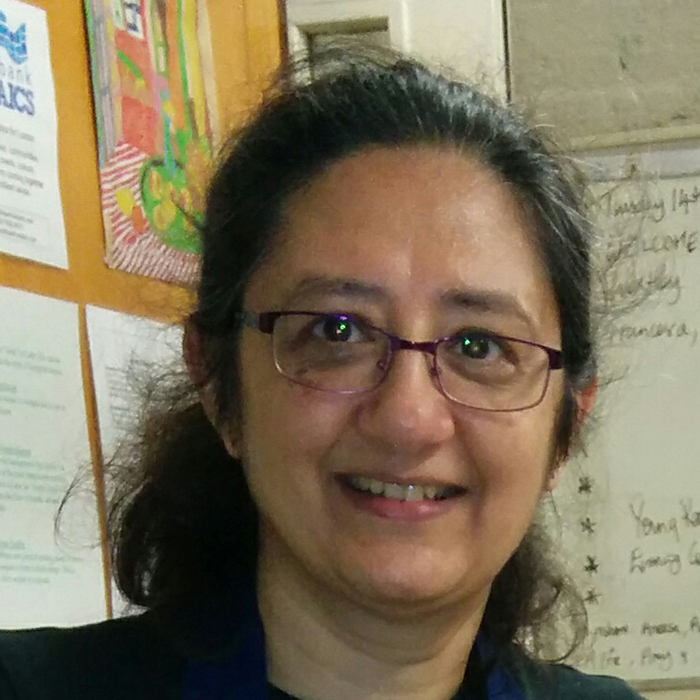 He wrote to a colleague: “The field is crying out for someone to pull it all together or at least put the thinking about it into some sort of order”. And this is just what he set out to do. From 1979 to 2003 Crick championed the cause of brain science. 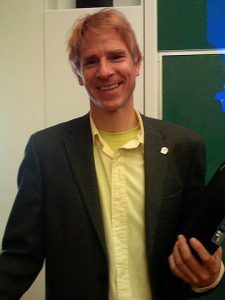 With his collaborator of 18 years, Christof Koch, he developed a framework for thinking about the conscious mind. Their ultimate aim was to map all the concepts associated with consciousness to properties of synapses, action potentials and neurons. These would be the neural correlates of consciousness (NCC) in the brain and their properties could be analysed scientifically. By 2003 they had published their framework for consciousness. They set aside the Hard Problems of consciousness, in order to establish the NCC through “careful experimentation”, hoping that when they could “explain the NCC in causal terms, this [would] make the problem of qualia [subjective experiences] clearer”. Writing in 2004, the year of his death, Crick observed that “solving the problem of consciousness will need the labors of many scientists, of many kinds, though it is always possible that there will be a few crucial insights and observations” (Foreword for ‘Quest for Consciousness‘). Perhaps he was thinking of the sort of insight that had led Watson and him to the structure of DNA years before. Visualisation of neuronal tracts in the brain, forming the connective ‘wiring’ that transmits information between neurons within the brain. 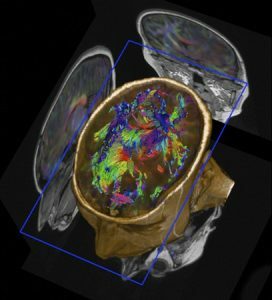 Image credit: Nuada Medical, Wellcome Image Award winner 2011. Wellcome Images reference: N0036707. “the Nature manifesto [Framework for Consciousness] with Koch… worked because it was done scientifically, acknowledging the limitations and correcting the view based on new evidence (e.g. initially brain synchrony was going to be key and then it became clear that there was more than that). Since then the field has grown a lot and we have embraced many more concepts from neuroscience, psychology and philosophy. His legacy works as reminder of how consciousness should be studied scientifically.” Dr Tristan Bekinschtein, University of Cambridge. This entry was posted in Biology, Cognitive Science, Consciousness, Evolution, Genetics. Bookmark the permalink.